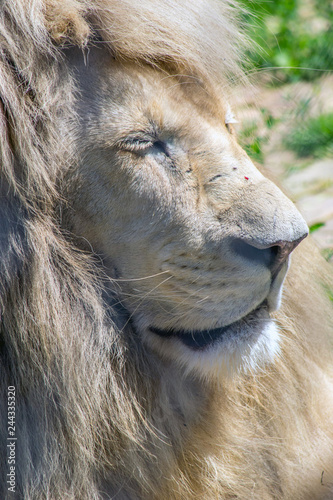 Scene from the zoo garden. 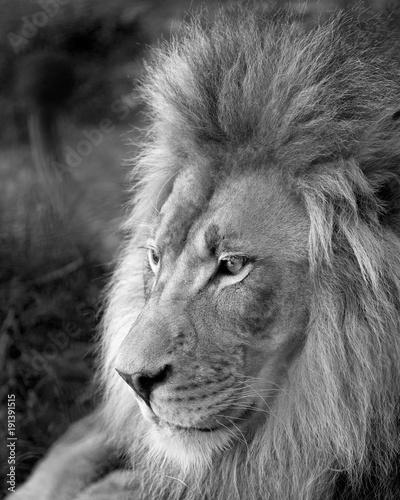 The king is asleep. 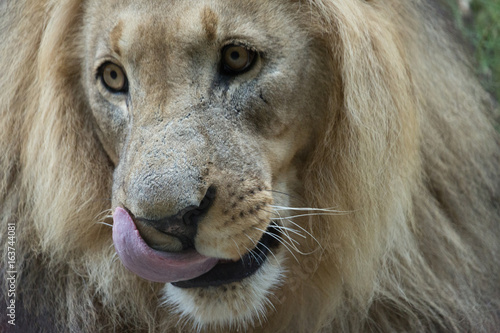 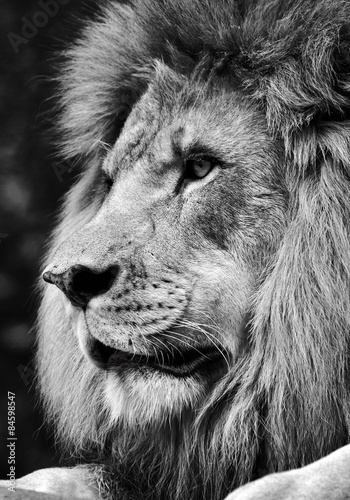 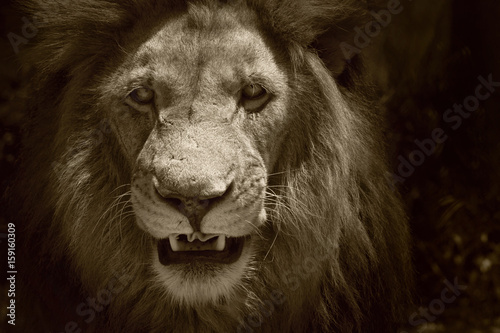 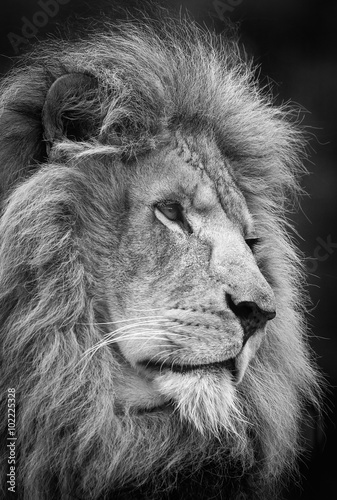 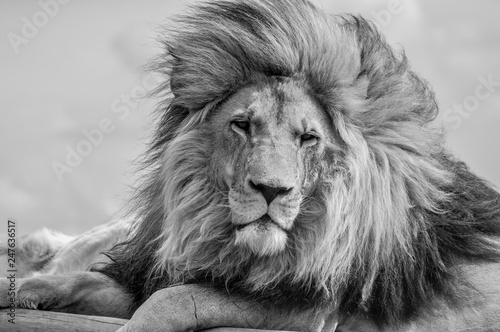 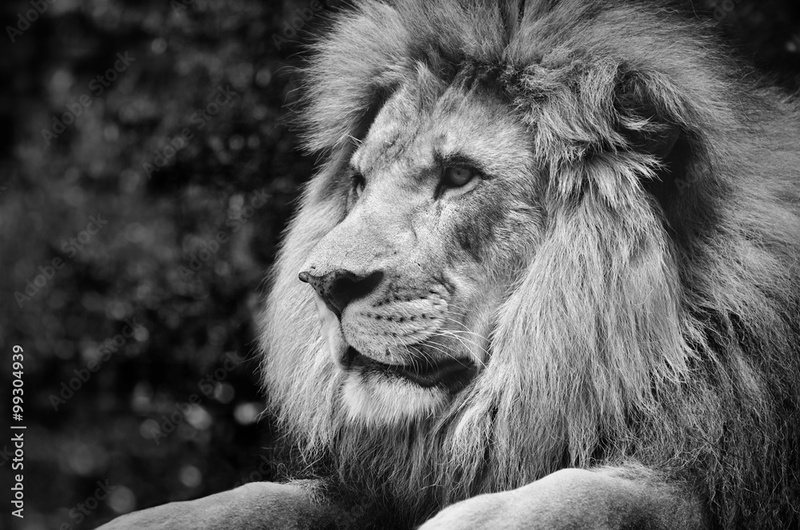 Adult male lion , A black and white head shot of a male Lion .